An intriguing whodunnit from the masterly pen of perhaps the world’s best-known crime writer, the “Duchess of Death” as she has been called. 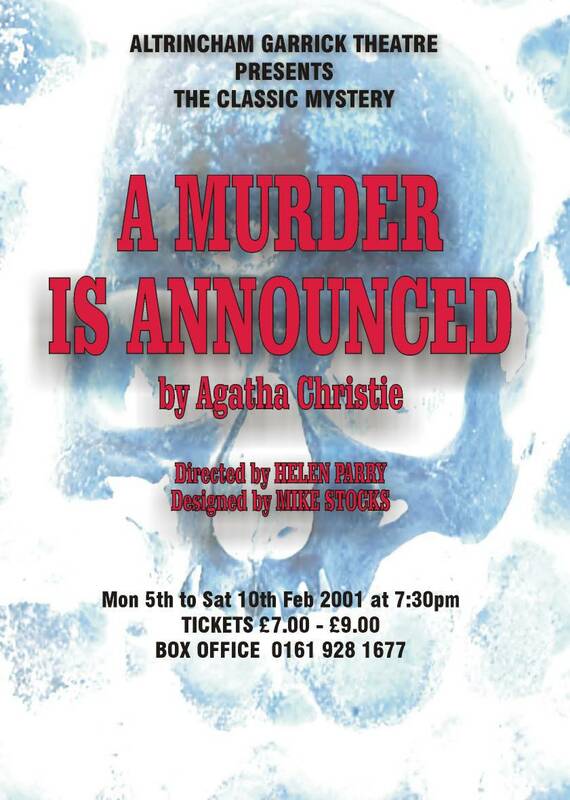 Generous and caring Letitia Blacklock provides shelter for an assorted cast of misfits and life is proceeding uneventfully until the announcement in the local rag that a murder will tame place, in their very home, that evening at six-thirty pm. Who is the victim and who the perpetrator of this dastardly crime? All will be revealed at the end of the play.